As a sign of the growing international presence of Brazil-born franchises, the Associacao Brasileira de Franchising (ABF) and a group of Brazilian companies participated in Franchise Expo Paris, which took place from March 18th to 21st in Paris, France. Brazilian companies Global Franchise, MegaMatte, City Shoes, Yes!, MaxCenter and Container Store were present. The aim of the delegation was to provide information on Brazil's franchising system at this fair, which is one of the most important franchising business fairs in the world. Mercado & Consumo recently published a report on the state of franchising in Brazil, including a number of key statistics and indications that the franchise industry in Brazil is dynamic. In 2011 the Brazilian franchise sector grew by 16.9%, reaching a turnover of USD 52 billion (other sources even mention USD 88.8 billion). According to Ricardo Camargo, executive director of the Brazilian Franchising Association (ABF), this percentage of growth is much higher than the 15% expected. The organisation stated that there is still much more room to grow. According to a survey of the ABF, the number of brands grew 9.5% compar ed to 2010. Currently there are 2,031 companies offering franchises in the Brazilian market, employing more than 840 thousand people throughout Brazil. The number of retail stores, despite of a small decrease compared to 2010, is still growing with 7.8% a year. The micro-franchise - networks with an initial investment of up to 30 thousand dollars - represent 17% of the total marks or USD 3.7 billion, equivalent to 4% of the total turnover of the franchising industry, reaching 336 units versus 213 in 2010. The hotel industry and tourism sector had record growth with an 85.8% boost in sales. Other sectors are furniture, decoration and gifts (35%); sports, health, beauty and leisure (24.3%), business services (14.9%) and food (14.5%). As for the distribution of the units, the Southeast continues to harbor the largest number of stores, with 57.6%. Worth mentioning is the Northeast that has 15.6% of franchises opened in the country, against 14.1% for the South. The state of São Paulo continues ahead with 51.1% headquarters of franchising networks, followed by the states of Rio de Janeiro (12.7%), Paraná (8.2%) and Minas Gerais (5.8%). Excluded from the data are product format franchises, for example gas stations and soft drink companies. At the Franchise Expo in Paris, the representatives of the ABF presented also a workshop for government officials, businessmen and local investors on the performance of Brazilian franchising. The presence of the Brazil Pavilion at Franchise Expo Paris was the result of an agreement signed between the ABF and APEX-Brasil (Agencia Brasileira de Promocao e Exportacao), which supports the internationalization of Brazilian franchise networks. According to the executive director of the ABF, Ricardo Camargo, Brazilian franchising is recognized worldwide for its creativity and quality standards. Today 91 Brazilian networks are presented abroad and operating successfully on all continents. "We want to introduce our national franchising as an attractive differential to French investors and to all of Europe," he affirmed before. 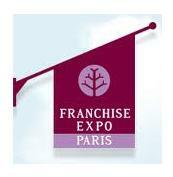 For companies that missed the Paris Franchise Fair, there will be another chance at the end of the summer. From 27 till 29 September 2012 the Rio Franchise Business will take place. This is an important exhibition for the Brazilian franchise market in particular, because it will create the platform for formation of business partnerships and networks as well as explore the target customer base from not only Brazil but also from other neighbouring countries and regions. The event will be attended by industry experts from all over the region.